J&J Lawn Service, Inc is your homegrown lawn and landscaping company. Created in 1985, J&J Lawn Service, Inc. serves the City of Coral Springs, Parkland and surrounding areas. The City of Coral Springs is located in Broward County, Florida approximately 20 miles northwest of Fort Lauderdale. Coral Springs is home to an estimated 130,059 people according to the 2016 census. 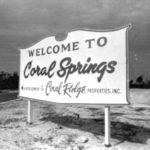 Coral Springs was primarily developed by Coral Ridge Properties, which was acquired by Westinghouse in 1966. Despite the name, unfortunately, there are no water springs in the City of Coral Springs. According to Wikipedia, during the 1970s, 1980s, and 1990s Coral Springs grew rapidly, adding over 35,000 residents each decade. It is important to note that Coral Springs does have strict building and landscaping codes, which are designed to maintain the city’s distinctive aesthetic appeal. J&J Lawn Service, Inc since 1985 we have helped our commercial and residential residents maintain their landscaping and lawn care needs. If you have not been made aware, Coral Springs requires their property owners to replace all landscaping that they remove or that dies, including lawns, trees, and shrubs. Coral Springs requires property owners to maintain their landscaping in a “healthy, neat and orderly condition, which includes mowing, watering, trimming, weeding and fertilizing lawns, trees, and plants on the property, abutting canal banks and along street frontages. Lawns must be kept trimmed to less than eight inches in height; hedges should be well-trimmed and meet the required height. Shade trees may not be planted within 25 feet of a streetlight; existing trees closer than 25 feet need to be pruned away from streetlights and other signage to ensure visibility and safety.” Click here for the cities guidelines. Coral Springs can be very strict in regards to the types of hedges and trees that they require. Here are some of the most popular species that do well in Coral Springs and can easily be purchased at a local home improvement stores or nurseries. J&J Lawn Service also provides residential and commercial lawn care services and landscaping for The City of Parkland. Parkland’s landscaping requirements may not be as strict as Coral Springs, however, communities such as Heron Bay, Parkland Isles, MiraLago at Parkland, Ternbridge, and Waters Edge at Parkland may have association requirements. It is best to check with your individual community to learn their landscaping code requirements or hire professionals who have worked in your community for years. Tagged Coral Springs landscaping, Heron Bay Landscaping, Heron Bay Lawn Care Maintenance, Heron Bay Lawn Service, Parkland Landscaping, Parkland Lawn Care.